Recently, we had a summer heat wave which means we are disinclined to use the oven or stove stove. On top of that the new Mission Soft Taco Gluten Free Tortillas have come into our lives, so we decided it was time to try some easy tortilla sandwich wraps. We used the Recipe Van recipe as a jumping off point, but used ingredients we had available in the kitchen and sounded delicious together. 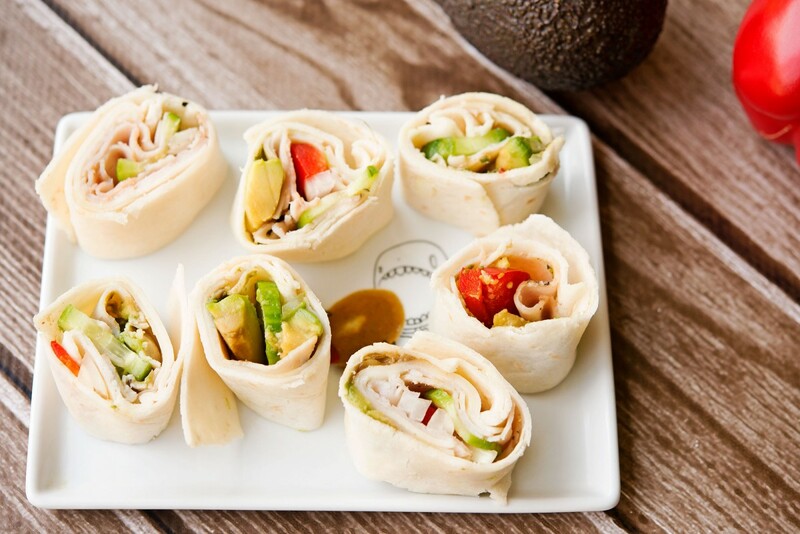 For these wraps we used provolone, turkey, avocado, onion, cucumber, red pepper, and some Tapatio for good measure. Since we didn’t use a soft cheese or hummus the rolls didn’t hold together very well, but toothpicks are always an easy alternative. 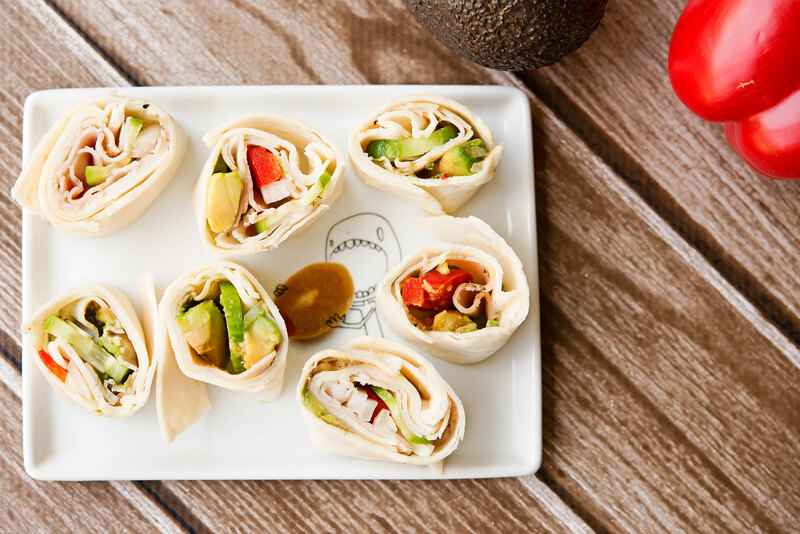 To make these fast and taste wraps, think sushi, but with a tortilla. We alternated techniques including using a thin layer on the first third of the tortilla and on others did a thin layer of ingredients throughout. Experiment and do whatever works for you. We’re heading into another heat wave…what is your favorite heat-friendly meal? 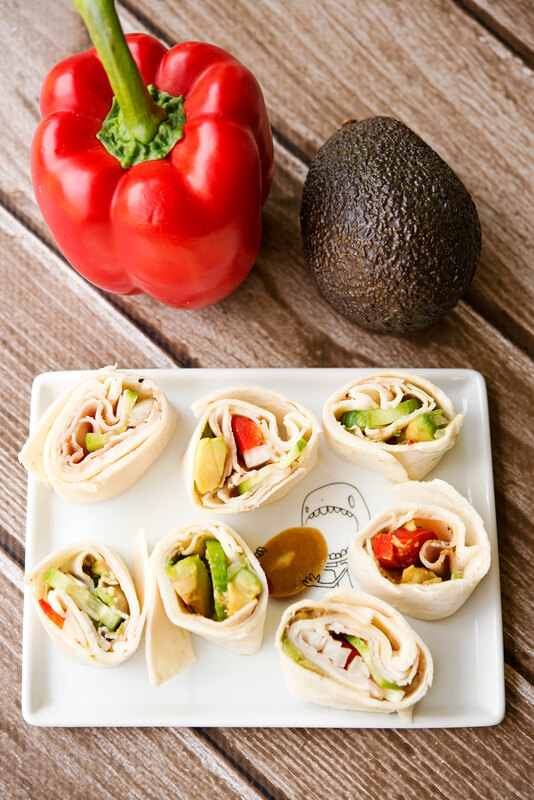 Categories: Gluten Free, Lunch Tags: avocado, cucumber, mission gf tortillas, onion, provolone, red pepper, tapatio, turkey. permalink.